Watch the birds on the river from your bed; explore the wetlands by canoe; relax in a hammock at the pool or swim at one of Plettenberg Bay’s nearby beaches. 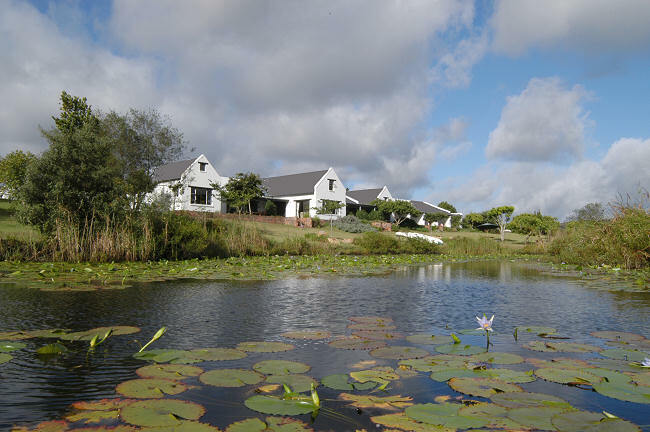 Enjoy a traditional country breakfast & then go for a short walk along the eco-trail & keep a lookout for otters & birds. Each spacious, tranquil room has its own entrance & patio with garden & river views; an overhead fan & underfloor heating; a bar fridge and TV with MNet. 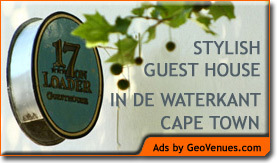 Golf courses, game drives, horse-riding, beaches, restaurants & shops just a ten-minute drive away. Monkeys, birds, elephants & wild cats can be visited at the Crags, fifteen minutes away. AA Award Winner ‘SA’s Best B&B Guest House-style’ ; Hall of Fame. French, Afrikaans & some German spoken.